Integrated Health Programs, LLC | Better Health. Better Mind. Better Self. Integrated Health Programs, LLC, founded by Dr. Hari Sharma, is a company focused on using the holistic modalities of Ayurveda to promote better health, prevent disease, manage chronic disorders and help enhance spiritual development. Hari Sharma, MD has more than 30 years experience in holistic practice. He is board certified in Integrative Holistic Medicine, which covers evidence-based Alternative and Complementary medical modalities, including Ayurveda, a comprehensive holistic healthcare system that Dr. Sharma practices. Ayurveda covers consciousness, mind, physiology, and environment, for the management of disorders and diseases. In recognition of his outstanding achievements in the field of Ayurveda, Dr. Sharma was awarded a Fellowship in Ayurveda from the National Academy of Ayurveda, Ministry of Health and Family Welfare, Government of India. Dr. Sharma is also a Fellow of the Royal College of Physicians (Canada) and a diplomate of the American Board of Pathology. As part of his Ayurveda practice, Dr. Sharma also teaches Spontaneous Meditation and Pranayama (breathing exercises). He also teaches the Smriti Program. Dr. Sharma has been published extensively, including more than 150 scientific articles. He has written several books, including Ayurvedic Healing and The Answer to Cancer, and has lectured at various conferences worldwide. 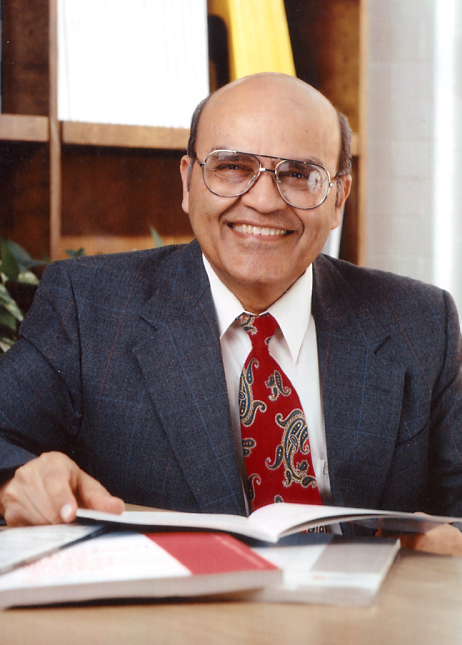 Dr. Sharma is Professor Emeritus in the College of Medicine at The Ohio State University, Columbus, Ohio, and is the founder of Integrated Health Programs, LLC.